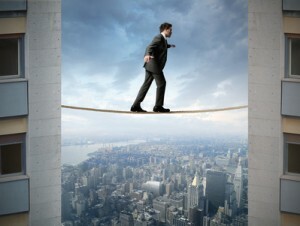 What Risks Are There When Trading With Binary Options? While there are ways to reduce the risk that is taken on by most financial traders, the truth is that all investments come with at least some form of risk – and this includes trading in binary options. Therefore, investors in this arena are well advised to carefully research the types of risk that can be involved, and only then to proceed in ways that will ensure that risk will be kept to the minimum amount possible. Although there is no way to completely remove all of the risk in any type of investment, having an acute awareness of the potential risks that may be present can help in reducing some of the uncertainty for traders. This alone can help traders to focus more on the actual investment at hand, knowing where certain pitfalls may lie. Similar to other investments, the trading of binary options can involve overall market risk. In nearly all cases markets can – and oftentimes do – move in various directions without ample warning. Although there are ways to predict potential market movements, even the most thorough of analyses cannot always accurately pinpoint exactly which direction the market will take. Another risk that binary options traders need to be aware of is fixed profits. In the case of these investments, both losses and gains are capped – meaning that there is no unlimited upside potential with these investments. On the positive side, however, losses are also capped. In addition, unlike many other investment vehicles, binary options are measured by the slightest tick. This means that oftentimes the value for this type of option may be determined by as many as three or four decimal points. With binary option trading, even 0.0001 points may mean the difference between a trader being on the profit or loss side of the investment. Binary options are also not considered to be a “liquid” type of investment. Therefore, because these vehicles are not able to be exercised at will, traders must wait until the options expiry date before he or she can take their profits or losses. Because binary options are simply a wager on the direction of an underlying asset, traders are not actually investing in the ownership of any type of tangible asset. While some are comfortable with this type of investing, others may see it as a potential risk. One of the biggest risks when trading in binary options is the fact that the OTC markets are currently not regulated. This means that even though most binary option trading platforms are as they appear, there is a chance that traders may run into some forms of unscrupulous practices. There are several ways to limit your risk trading binary options which many profitable traders employ and are the basis of a solid trading strategy. The first of these is to choose a binary options broker that will enable you to manage your risk effectively, including one which offers both a protection rate and features to limit losses. A ‘protection rate’ is the percentage that a broker offers to pay back to the trader for those binary options closing out of the money. This is usually between 5-15% and is a good way to ensure that even out of the money trades do not result in a total loss of the investment. The other features offered by brokers which binary options traders can use to reduce risk are ‘close early’ and ‘rollover’ features. In situations where the options appear hopelessly out of the money, t hese provide traders a choice to either close the position early, for a smaller loss of extend the expiry time in hope that the trade recovers. Although using these are not ideal and may also result in losses, including these risk management strategies in a long-term trading plan will certainly reduce total losses over time. Possibly the most important element of controlling risk in binary options trading is to limit your initial exposure and to trade only with money which can be lost. Many professional traders use the ’2% rule’ which only allows them to risk a maximum of 2% of their trading account on any single trade. Although this may seem like a small amount to begin with, buiding up over time an account value can grow substantially using this small piece of advice. Do the Advantages of Trading Binary Options Outweigh the Risks? While there are some risks to be aware of when trading binary options, these financial vehicles can present a number of great benefits as well. In fact, one of the biggest benefits to binary options actually involves that fact that a traders’ risk is known from the beginning of the investment. This means that it is known by a trader exactly how much he or she stands to gain or to lose prior to even making their investment. Therefore, even though a trader’s gains are fixed, so are the potential losses – and this can make it possible to move forward with the investment without the need to take on an undetermined amount of financial exposure. The probably best way to get to know Binary Options trading better is by using a demo account. With such an account, you can trade under real market conditions without risking your own money. We highly recommend the only regulated broker in the US where the demo account is 100% free and without limitations. Open a free demo account at Nadex now! Is Trading With Binary Options a Game of Luck? Do Chart Techniques Really Work?